Even more so than my post on Movie Awards, you’ll find my awards have categories the Emmys don’t ever grant. Like the Academy Awards, the Emmys aren’t really interested in giving awards to crowd pleasers or cult favorites. Most of the awards go to a handful of cable dramas with the sort of ratings any network would consider abysmal. I’m not saying that these shows aren’t good. Some of them are excellent, but there’s a lot more TV out there that deserves to be recognized. Before I begin, I should note that while I watch way more TV than is probably healthy, I have not watched the following shows: Breaking Bad, Mad Men, Orange is the New Black, The Walking Dead, Homeland, The Good Wife, Girls, Veep. I’m still in the first season of Game of Thrones. I can’t nominate what I haven’t seen, so no need to fill the comments section with impassioned arguments for why Breaking Bad is the best show ever made. Best Comedy: We watch a lot of comedy in our house, so this is a category with stiff competition. I thought there would be even more with what looked like a lot of good new comedies coming in last fall. Unfortunately, most of them turned out to be duds. Parks & Recreation: Ron Swanson is THE BEST. This show wasn’t great in its first season and a half, but it’s been on fire since late in season two. If you never gave it a second chance, you owe it to yourself to give it another look. 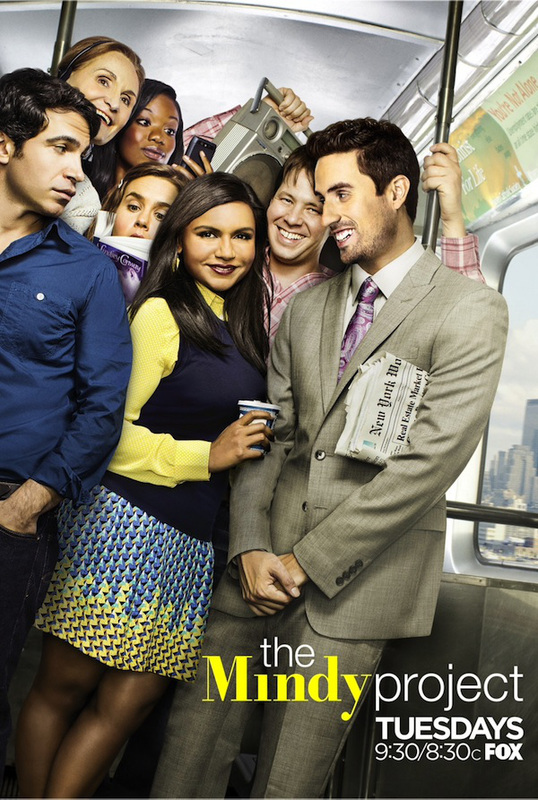 The Mindy Project: This is another one that I didn’t find that funny at the beginning. It found its footing about halfway through last season, and ever since has been wonderfully clever and hysterical. I’ve been surprised how resistant people have been to give this show a second chance. It is the most consistently funny show I watch now. Modern Family: Still a classic, although I don’t feel it’s been quite as good as normal. It’s hard to sustain that level of amazing. The Big Bang Theory: Much like with Modern Family, I don’t feel like Big Bang is doing anything cutting edge, but they do it really well. Brooklyn-Nine-Nine: The only newbie of the bunch, and I’m as shocked as you are that it’s here. I didn’t have high expectations for this, but I’ve been pleasantly surprised. By the same people who do Parks & Rec, and they are doing miles better in their first season. This ensemble cast is already good. Winner: The Mindy Project. Not only is it laugh until you cry funny, but Mindy is smart and original. Best Drama: Other than Downton, all the other contenders were new shows in 2013—impressive. Also of note, none of them are made by one of the major American networks. I guess there might be something to the idea that more episodes can water down plot. The most episodes any of these nominees had was 13. House of Cards: This Netflix political drama will probably make you more cynical about life, and certainly it isn’t one you should watch with kids, but it is very good. Even rarer, I didn’t see where it was going. The Americans: I was late to the party on this FX show about KGB spies living in the US in the 80s. Now I can’t wait for season two to start next week. If you want to catch up, Amazon Prime has last season. It’s a fascinating piece of history, and one of the few dramas both my husband and I both like. Broadchurch: Fox is remaking this BBC America drama about a small town solving the murder of a 13-year-old boy. Do yourself a favor and watch the original. I can’t imagine Fox will be able to match what I saw unfold on my screen. I’ve never seen such a raw picture of grief. It’s not easy to watch, and I certainly wouldn’t fault anyone for not wanting to try it, but it is amazing television. Downton Abbey: Another one that was hard to watch last season, but it was good TV. How else could the death of a character depress you for weeks? Orphan Black: Tatiana Maslany should have won all the Emmys for her performance as a handful of clones in this twisty BBC America show. I love a show where I frequently scream, “What!” at the screen. 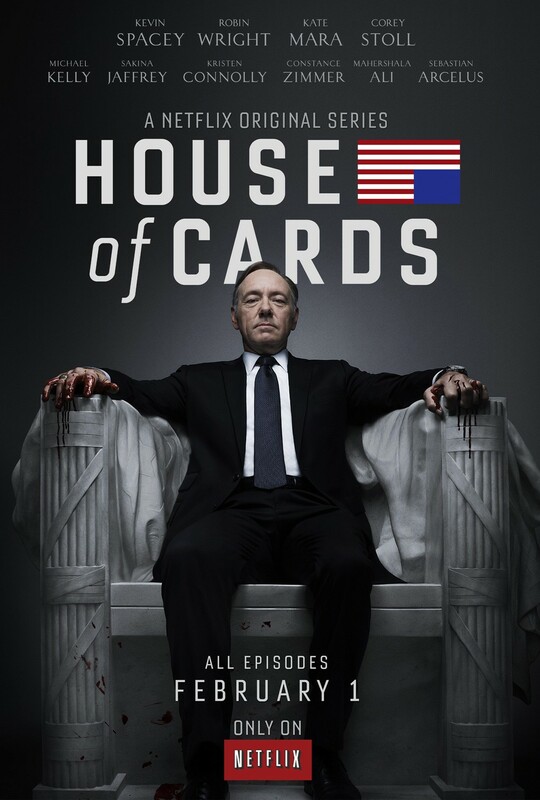 Winner: House of Cards. Always the bridesmaid but never the bride, House of Cards was nominated again and again but never won anything. It takes the cake for me, though. Best Soap: Writing a soap well isn’t as easy as throwing in a love triangle and hoping for the best. I love me a good soap, but this year has been disappointing. Like the new crop of comedies, the pilots in this category were largely disappointing and old favorites have fallen off the rails—I’m looking at you, Revenge. Scandal: I have usually bypassed Shonda Rhimes shows, but this one has me hooked. I’d probably watch just for Kerry Washington’s wardrobe, but the insane high speed plotting is also fun. 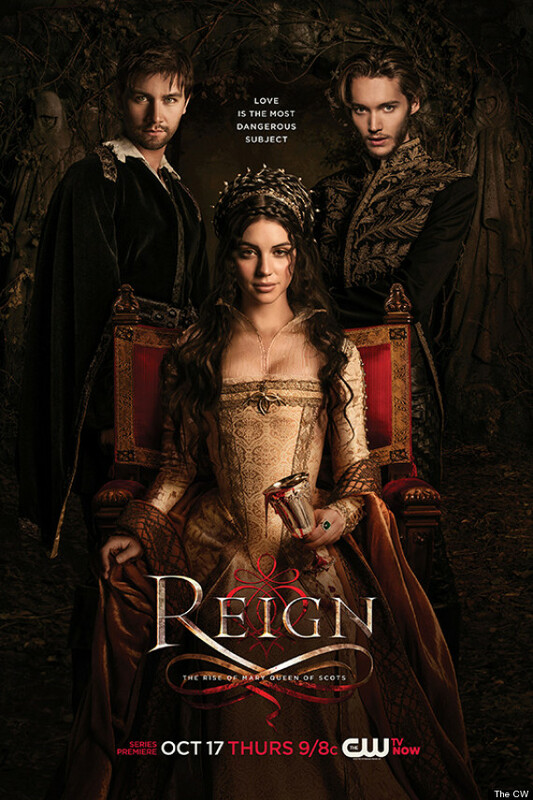 Reign: This show is historically ridiculous, but I don’t care. It’s another one I’d probably watch just for the scenery and wardrobe, but they also manage to make Scandal’s plotting look slow. Hart of Dixie: HofD is the most lighthearted of all the shows I’d classify as a soap, and the most amusing. That’s not an easy tone to take, and I feel they are still doing it well. I do miss Lemon’s scheming, though. Surely Jaime King’s maternity leave is almost up? Winner: Reign. Going into last fall, I would have sworn nothing could unseat Scandal, but Reign has done it. They both record on Thursday, but I always watch Reign first. Best Sci-Fi/Fantasy: This has become a surprisingly crowded field of contenders. J.J. Abrams and his Lost cohorts seem to be putting out a couple pilots a year now, and the CW has almost become Syfy II. Arrow: I have to keep reminding myself that Arrow is only in its second season. It had one of the most impressive first seasons I’ve ever seen, which put it on solid footing for this year. Laurel’s still a hot mess, but otherwise the show is leading with its great characters. Revolution: As a Supernatural fan, I told my friends watching this show that creator Eric Kripke is a believer in the long game. Give him some time, and you’ll end up really loving the characters and be amazed where he’ll take you. I don’t know if anyone but me is still watching this show, but it has been so good this year. Not only is Charlie far less annoying, but Monroe is amazing, and the storylines have been more interesting now that no one really cares about the lights. Supernatural: When Kripke left the show after its fifth season, I won’t lie; it got pretty bad. I watched seasons six and seven, but they were painful at times. Last year Jeremy Carver (one of Kripke’s original team) returned as show runner and thankfully corrected the sinking ship. 2013 was one of the best years Supernatural has had with the Men of Letters and Falling Angels storylines. The Originals: Normally I’d have The Vampire Diaries as a nominee here, but TVD just hasn’t been as good since they lost their best villains—the Originals. I’ve been able to be patient as TVD fixes its quality issues, though, because The Originals spin-off is fantastic. Remember season 3 TVD when you had to know what happened next? That’s what The Originals is like now. 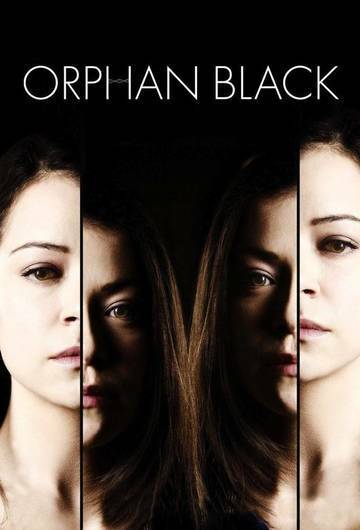 Orphan Black: I’ve already mentioned the premise of this sci-fi masterpiece under the drama category. This is the only one in this category that I thought was good enough to go head to head with the other drama nominees. It’s not just good genre TV, it’s just plain good. Winner: Orphan Black. This is my favorite category, and the one I watch the most shows in, so you’d think it would be the toughest to decide. Not so. Orphan Black blew the competition away. Best Procedural: I wanted to make this its own category because these never win anything, but they always top the most watched shows lists. Also, there is an art to writing these well. I have watched and abandoned many over the years (NCIS, Bones, Blue Bloods, The Mentalist, Hawaii 5-0), so I know there’s a delicate balance of just the right amount of case of the week versus overarching storylines to develop your characters. 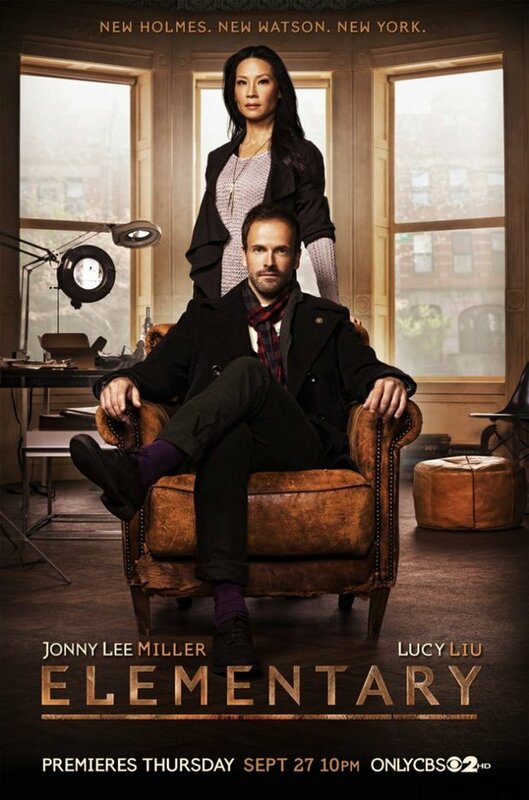 Elementary: As an avid Sherlock fan, I was skeptical of this show, and not just because CBS is the king of taking a great concept and then eventually killing it with boredom. However, I have loved how Johnny Lee Miller has explored Sherlock’s vulnerability, and the cases continue to be intriguing as well. The Blacklist: The cases can border on creepy at times, and I think they need to focus a bit more on their over arching storylines, but James Spader is so brilliant that I’ll forgive them a few fumbles. Winner: Elementary. Blacklist is still finding it’s footing, while Elementary is a solid performer week in and week out.